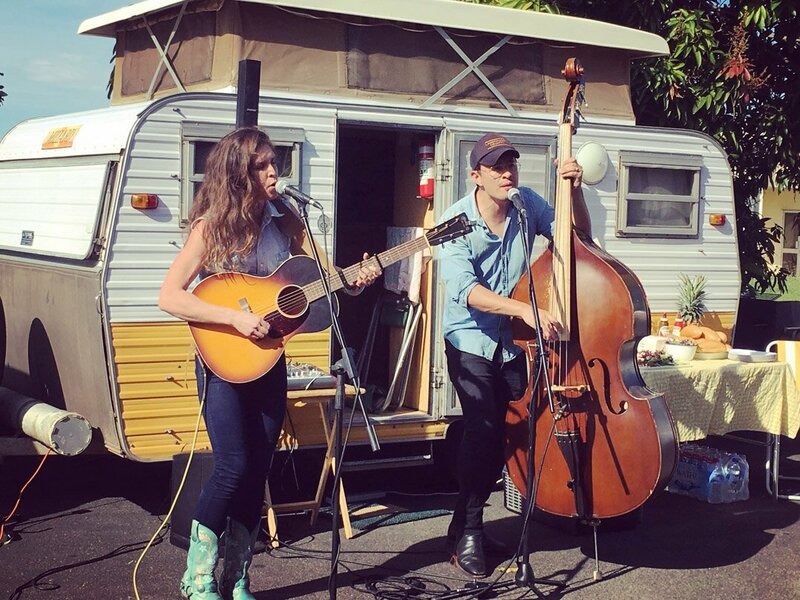 Edwina ‘Fanny’ Lumsden is one of Australia’s up and coming Australian folk musicians. 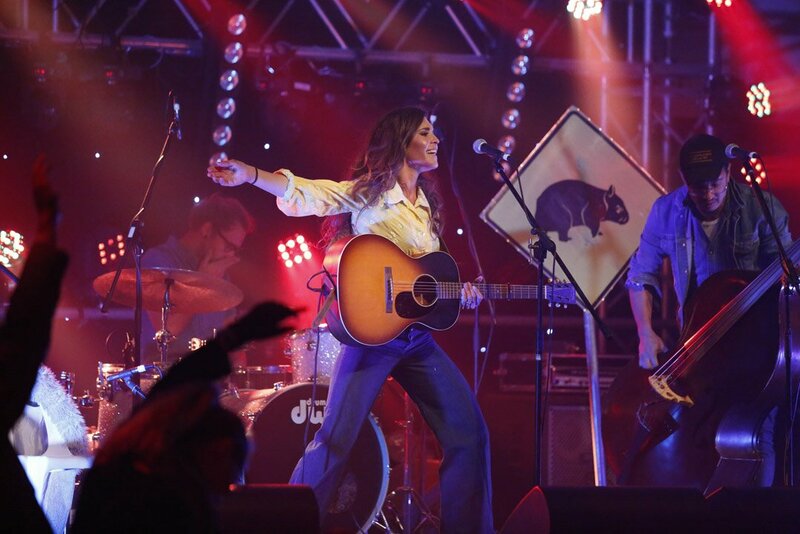 As well as a highly regarded first album, the young country girl from the Snowy Mountains has clocked up nearly 100,000km touring the country over the last two years with hubby and bass player Dan Stanley Freeman, all of it with their trusty little Millard caravan in tow. In that time the singer-songwriter has landed herself an ARIA nomination, Golden Guitar, and a APRA Professional Development award. 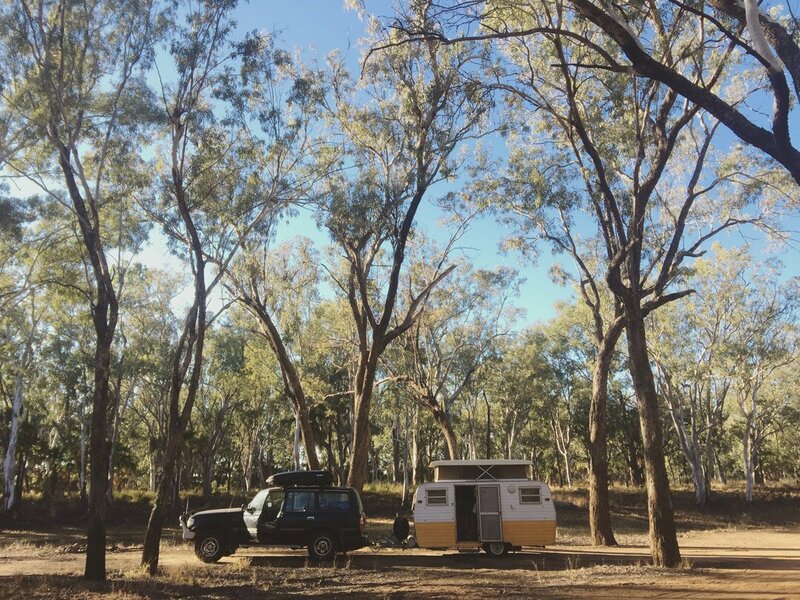 As she is packing her caravan for another huge trip across NSW and Queensland, we sit down with Fanny to talk about her travels, her love of old caravans and why song writing is best done under the stars. Did you caravan and camp when you were younger? Yeah, we camped a lot when I was little actually – just swag camping. My dad was very adamant that ‘Simple is better’, so we weren’t allowed fancy flies or anything – pretty much is was just canvas, a mattress and a blanket. Nearly all my holidays as a kid were camping and we would just chuck the swags in the back and drive off into central Australia somewhere, or go and help people on their properties, and just pull of to the side of the road and camp. Camping was pretty much my only sort of holiday. Where were some of your favourite places as a kid? We used to do a lot of trips out to western New South Wales. We’d go out to the Corner Country and southern Queensland. We also had horses, so we’d take the horses up into the Snowy Mountains too, and I loved that. Every year we’d go to the Murrumbidgee River and that was our ‘beach holiday’. We’d just haul up there with all our cousins and be there for about two weeks, usually over the summer holidays. My auntie had an old Millard caravan – which is now our caravan – so she’d have this little old caravan and we’d have our swags and we’d just camp out there. 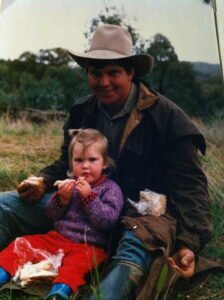 I think that’s probably my strongest memory – summer holidays camped on the Murrumbidgee River. So you bought your Aunty’s caravan? 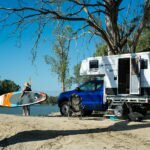 Win a Bluetongue Camper Trailer – Entry is Free! Can you tell me a little about that van? We’ve done 92,000 kilometres in the last 15 months in it, so she does need a little bit of tender loving care, but she’s done very well. 92,000km is a long way in 15 months. Why have you travelled so much? We travel so much because we play live music everywhere, all over the country. Last year we went out on a big trip and played shows everywhere from Tasmania, all the way up the east coast, then across to Darwin, across the Gibb River Road all the way to Broome (not in the van – it would have rattled to death), and then back across to the centre, down through the middle of Australia, and back home. And we’ve done about fifty thousand laps of NSW, it feels like. The last three months we’ve just spent touring Queensland, and I think we did thirty thousand kays during that time. We didn’t do it a very clever way – I think we went around two-and-a-half times. 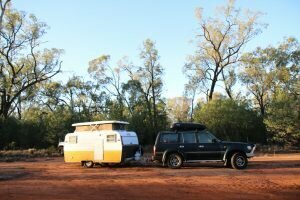 How much influence does the touring and caravanning and remote locations influence your music? It’s huge – It’s kind of our way of life. You write about what you know and you write about your experience and that’s what I know and that’s what I experience. I think it really comes out in the music. Even our lead single out now (Roll On) is literally a three-minute snap shot of our trip. 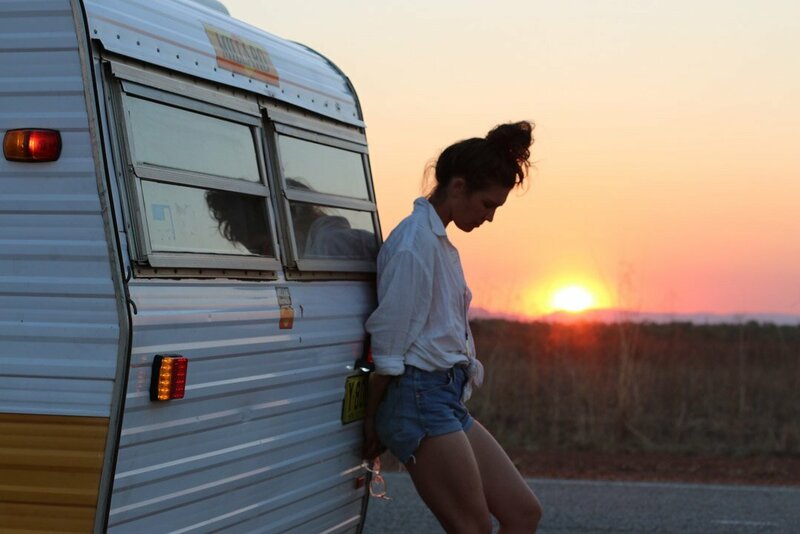 It’s unapologetically a driving song all about living in a van. And it also allows us to really gain a different perspective by getting out to different places and having the flexibility to take our accommodation with us, not relying on going to motels or whatever. So we can get out to different places, gain a different perspective and learn different things, talk to different people, so that’s all reflected in the music. Is there anywhere in 92,000km that you haven’t seen but are really keen to get to? 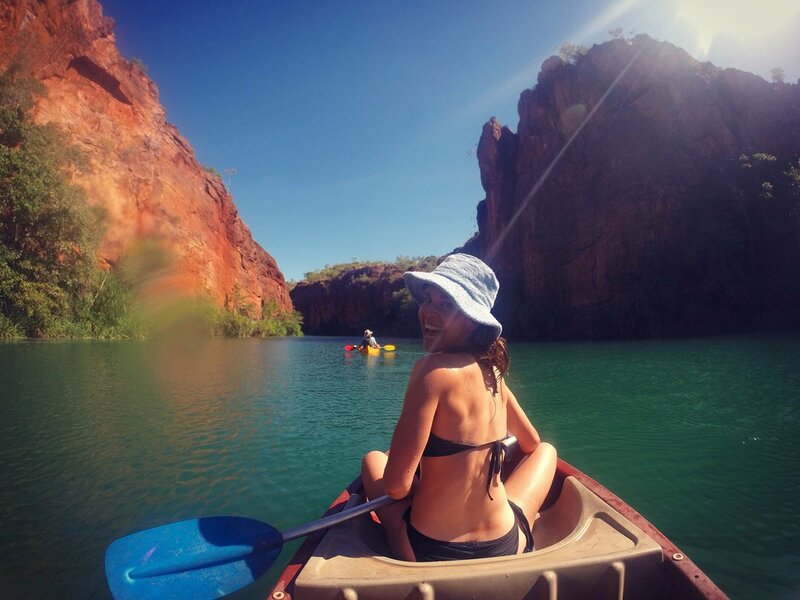 Yeah, we haven’t really seen much of Western Australia yet, so we’d love to get back to WA. And we haven’t gone across the Nullabor either, so there are a couple of things that are really key for the next trip. We want to go the other way around and really cover all of that, because we haven’t really gone through there yet. When does your next album come out? The record has just come out and we’ve put it out on our own record label, which is Red Dirt Road Records; obviously fairly strongly influenced by our life on the road. And then we’re going to be going straight into our Country Halls Tour, where we play shows in little halls all around Australia. It’s a big application based tour and we put on full band shows for the whole community in their little halls. Kids to grandmas come out – they are the most fun shows. Also part of it is that we take our little caravan with us, so we’re all in vans, Slim Dusty style. The guys that tour with us have a little old Millard as well. I think theirs is a ’76, so they look really cute together. This interview originally appeared in ROAM magazine. For more great interviews with celebrities who camp, grab a subscription here. Or get a copy of Fanny’s latest album, Real Class Act, here.